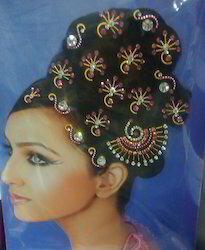 We are one of the most eminent names of the market engaged in offering the finest collection of Hair Decoration Accessories to the esteemed clients. These accessories are designed as per the preferences and demands of our esteemed patrons by a team of creative experts. In addition to this, we make sure that the ordered products are perfectly packed and timely delivered at the clients' premises. 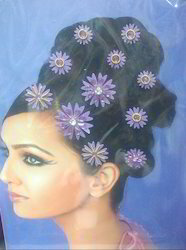 Our product range comprises Designer Hair Tattoo, Hair Decoration Beads and Sticker Hair Decoration. 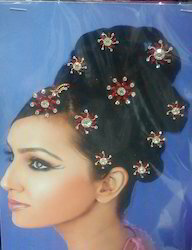 Looking for Hair Decoration Accessories ?